Give Wings to Production Planning With Zenscale! Improve efficiency and drive greater revenues with an optimized workflow! Submit your details above and we'll be in touch shortly or else send us a mail as second preference. Create and define various Shift details like the hours, start and end time, type, etc. Calculate and disburse the salaries of every employee based on various related data heads. 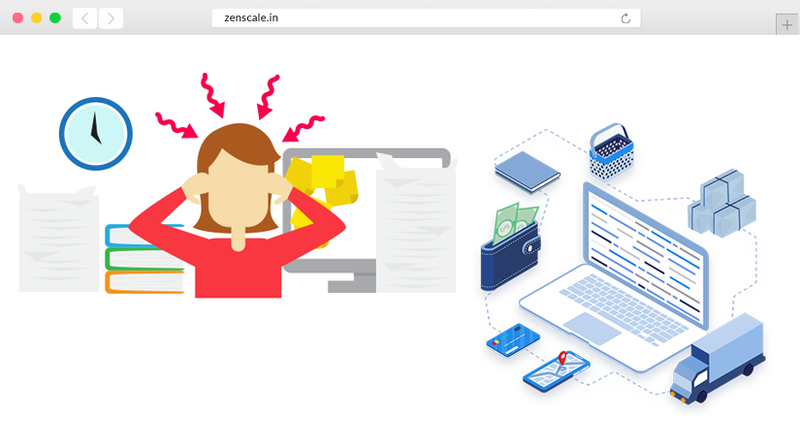 Have a taste of the world of Zenscale and its offerings that make all your business processes smoother and more efficient! The greatest advantage I've experienced since using Zenscale Payroll is the ease of use. It is very easy to navigate and rollback past information. Fully automated system enabled us to replace paper-based manual work. Now we utilize our saved time in improving the productivity. It relieves the burden to a great extent. It takes away the majority of the little inquiries and the questions that spares so much time. It is an incorporated framework with real-time transaction reporting. It capably supports hierarchical process identified with Production, Sales and Distribution and numerous others. Automatically levy the applicable GST on every transaction! Let’s get going with your project! business with greater insights, faster processes, and better decision-making. It has never been this easy! Sign up to start using the software right away! Our technical team is online! Chat with them to understand more how Zenscale can help you.